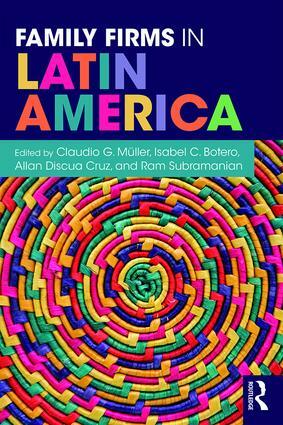 This is one of the first books of its kind to highlight family firms in a Latin American context, helping readers to understand the distinctive nature and challenges of Latin American family businesses and how these issues compare to family businesses around the world. The work offers a practical approach, which enables to have a deep insight of how the market and the business network are in Latin America. Oscar Howell contributes to this book with a very specific case and a detailed structure. Aimed to academics, students and readers interested in business. Ivan Lansberg, Ph. D., Academic Director for Family Enterprise Programs, Kellogg School of Management, USA. Isabel C. Botero, Ph.D., educator, researcher and consultant and assistant professor in the Department of Management at the Family Enterprise Center at Stetson University. Claudio G. Müller, Ph.D., adjunct professor at the School of Business and Economics at the University of Chile.